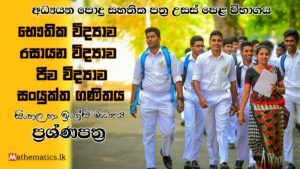 Among the core subjects to be offered by the students at the G.C.E. (Ordinary Level) examination, the subject mathematics stands foremost. The main reason for this is that the success at the G.C.E. (O/L) examination depends on passing mathematics. The dream of following a subject stream, whatever it would be, at the G.C.E. (Advanced Level) comes true only by getting through the subject mathematics. The students who have the ability as well as the fervour to study either Arts or Commerce at the G.C.E. (A. L.), will have to leave the school system because of their failure of Mathematics at the G.C.E.(O.L.) examination. Therefore NIE ( National Institute of Education ) provides mathematics essential learning concept book for grade 11 and grade 10 students. 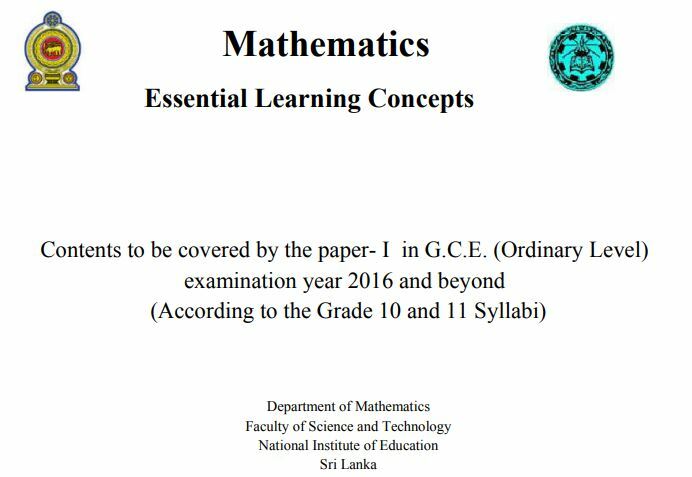 You can download mathematics essential learning concept book mathematics Lanka education. Also, this book contains to be covered by the paper – I (one) in G.C.E O/L Examination. According to grade 11 and 10 syllabi, this book can use examination 2016 and beyond. Click this link below to download.